Historical Tapestry: Happy New Year! 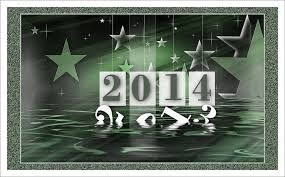 We are all very much looking forward to 2014 here at Historical Tapestry. It will be something of a reboot as it has been a little quiet here lately but now we are back with lots of ideas and renewed enthusiasm! The most exciting change is that we have a new member. We are very pleased that Colleen has agreed to join us and you will get to meet her this week. Another change is that we have introduced a new feature called Fact Fiction Friday. Julie posted the first of these yesterday so be sure to check it out if you haven't already. Some of the things we have planned for this year include a read along which should be announced soon, a special event to commemorate the outbreak of World War 1, maybe an author event and more. All of our regular features will also return including reviews, guest posts, give-aways and more! Also, don't forget to sign up for this year's Historical Fiction Reading Challenge. Over the coming week we will be sharing our best of 2013 lists and then the books that we are most anticipating in 2014, as well as our first give-away for the year from one of our favourite authors. It's going to be a great year and we look forward to sharing it with you.